The hepatitis C virus, or HCV, attacks the liver, and over time persistent infection can gravely damage the liver. The Centers for Disease Control and Prevention reports that 5 to 20 percent of people with untreated hepatitis C develop severe liver scarring, called cirrhosis, after 20 to 30 years. In the final stages of hepatitis C, the cirrhotic liver decompensates -- meaning the scarring is so extensive that the liver starts to fail. All of the liver's many important functions suffer, leading to several serious complications. Chronic HCV infection also increases the risk for developing a form of liver cancer called hepatocellular carcinoma, or HCC. Up to 5 percent of people die from the consequences of final-stage hepatitis C. Fortunately, HCV therapy has become much more effective in recent years, and successful treatment can avert these life-threatening complications of advanced hepatitis C in most people. The liver clears toxic substances from the body, breaks down old red blood cells and metabolizes blood proteins. Other important functions include making bile to help digest dietary fat and manufacturing proteins that help the blood clot. With decompensated cirrhosis from HCV, the severely scarred liver cannot perform all of these essential functions. For example, a byproduct of red blood cell breakdown called bilirubin builds up in the bloodstream because it isn't metabolized normally. This causes yellowing of the skin and eyes, or jaundice. Reduced blood filtration also causes accumulation of toxic substances in the bloodstream. Insufficient production of blood clotting factors and other important proteins leads to other complications. Additionally, extensive liver scarring makes it difficult for blood to flow through the liver normally. This creates a blood flow backup, called portal hypertension, which leads to enlargement of the veins in the digestive system and abdominal skin. Fluid leaks from the enlarged veins into the tissues. The spleen and kidneys also swell, malfunction and eventually shut down. Portal hypertension is the source for many of the signs and symptoms seen with the final stages of hepatitis C. Some of the signs of complications from portal hypertension include: -- Prominent veins under the skin, especially over the abdomen, chest and face. -- Bloody vomiting due to enlarged veins along the esophagus, called varices. -- Hemorrhoids and bloody or black stools. -- Fluid buildup in the abdomen, called ascites, and legs. -- Anemia. -- Bruises or petechiae, which are small purple or red spots from bleeding under the skin. -- Jaundice and itchiness. -- Confusion, irritability and sleeping difficulties. -- Exhaustion, shortness of breath and muscle wasting. -- Irregular or absent periods in women. -- Breast enlargement in men. -- Loss of body hair. The risk of developing HCC is 20 times higher in a person who has HCV compared to someone who is not infected, according to the National Cancer Institute. The risk is greatest in people with cirrhosis from HCV, who have a 2 to 8 percent chance of being diagnosed with HCC per year. Much like other cancer-causing viruses, HCV causes extensive inflammation primarily directed at the liver. Chronic hepatitis C also leads to liver scar tissue. Long-term inflammation and scarring predispose the liver to the development of cancer. Additionally, liver damage caused by HCV causes liver cells to multiply quickly. This rapid rate of liver cell multiplication can cause genetic damage that eventually leads to the development of cancer. Luckily, successful antiviral treatment of HCV can decrease the risk of developing HCC. 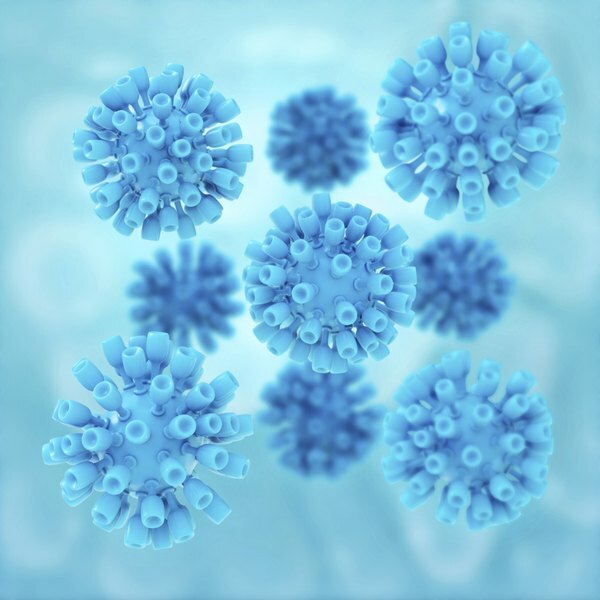 Because of the introduction of new treatment regimens beginning in 2011 that are more effective and better tolerated, researchers are hopeful that hepatitis C-related illness, including HCC, will decrease in the future. Unfortunately, decompensated cirrhosis cannot be reversed. Treatment is aimed at minimizing symptoms, complications and further damage. Antiviral medicines might be prescribed in an effort to clear HCV from the body. Direct-acting antivirals, or DAAs, fight HCV by blocking steps in the life cycle of the virus. Specific drug regimens are chosen based on the variant of the virus, known as the HCV genotype. Medications may also be prescribed to manage symptoms, such as fluid buildup, nausea and itchiness. Other medicines can be given to help reduce ammonia in the bloodstream, which can accumulate with liver failure and cause nervous system complications. Treatment for severe ascites may require having the fluid drained periodically. If esophageal varices become dangerously large, medications and procedures may be required. If HCC develops, treatment might include surgery, radiation therapy, chemotherapy or another form of therapy. The only definitive treatment for end-stage liver disease from HCV is a liver transplant. According to CDC, chronic HCV infection is the leading indication for liver transplants in the United States. Becoming a candidate for a liver transplant is a complex process that involves intensive medical evaluation. Gastroenterology: Is Hepatitis C Virus Carcinogenic? HCV Advocate: What Is Cirrhosis?